Dave Marvel, is a Certified Master Inspector and Owner of Peace of Mind Home Inspections., Peace of Mind Home Inspections is one of the top rated Home Inspection Companies for the past 14 years that offers a vast knowledge of construction, environmental and other resources to aid their Clients in providing them with the utmost information to make an Intelligent decision in the purchase of their dream home. Home Inspections, Insurance Inspections, mold assessment testing, allergy testing and a number of other benefits are available to his Clients. Dave started his career in the United States Marine Corp serving both State side and abroad. Upon discharge, Dave completed his Electrical Engineering degree. He has worked in the Manatee County area as a Plant Engineer and Environ- mental Manager for Chris Craft Boats, worked as a Department Manager in the Building materials and Electrical departments for Home Depot. 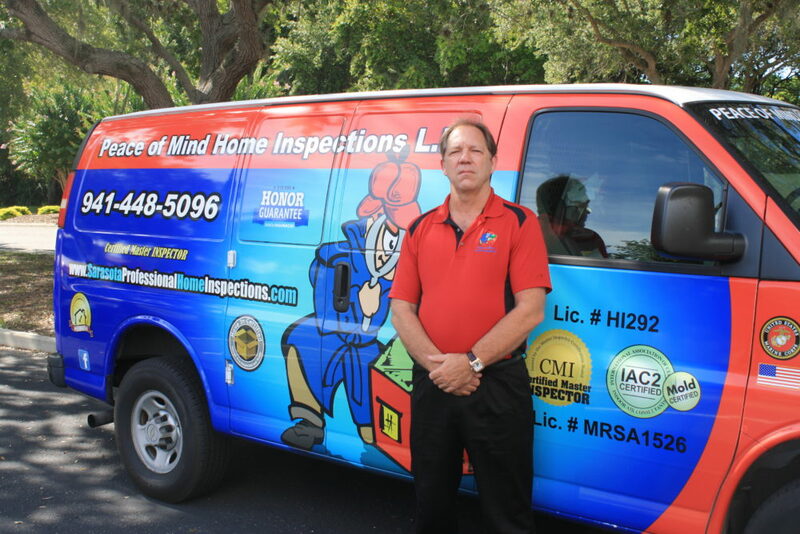 Peace of Mind Home Inspections opened the doors in 2000, in 2010 Dave traveled through the State of Florida to proctor exams with fellow Florida N.A.C.H.I. board officers to proctor exams in order to become a State Licensed Inspector. Dave is an active member of the Sarasota Association of Real- tors, Women’s Council Realtors, Sarasota Chamber of Commerce, supports Habitat for Humanity, is a founding sponsor of National Museum for the United States Army and is active with the United States Marine Corp Foundation and the American Legion. Dave is a supporter of RPAC, St. Jude’s and many other local charities / fundraisers. 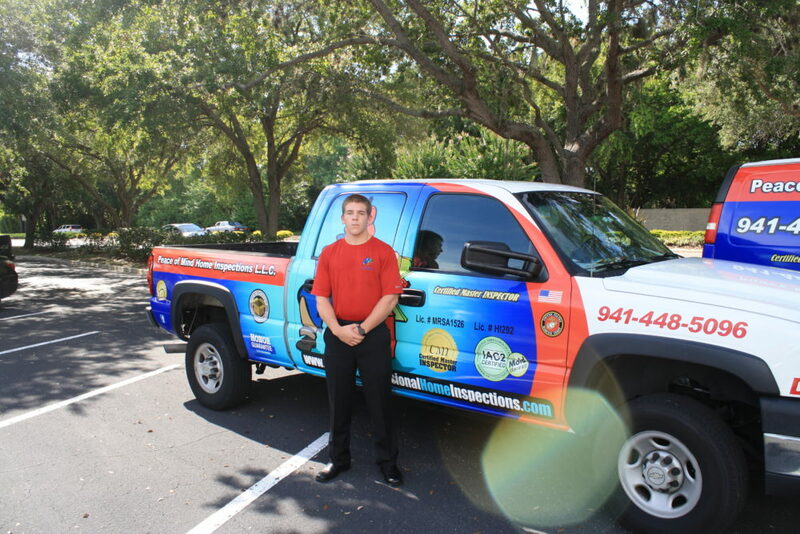 David Marvel, Home Inspector, was born and raised in Bradenton / Sarasota Florida area and is the youngest State Licensed Home Inspector in the United States but don’t let age fool you, David has worked and trained with his Father for the past 10 years and learned a vast knowledge about construction, remodeling and home inspecting. David graduated from Southeast High School in 2013, his greatest accomplishment was cross country running and served as Cross Country Captain for 2 years. David was determined and set a goal to break the school record which he accomplished 2 times during his running years and participated in Regional s two years in a row. David accepted entrance to University of North Florida, Jacksonville to further his education and is working toward his Bachelor’s degree.